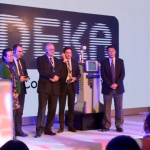 DEKA announces that Cynosure Inc. (Chemsford, MA, USA) will distribute in USA and Canada the CO2 laser systemSmartXide2 for V2LR applications (MonaLisa Touch®) under the brand name of DEKA. Cynsoure has introduced SmartXide2 for the first time in USA at PAGS 2014 (Pelvic Anatomy and Gynecology Surgery) from December 4th to 6th in Las Vegas. “This agreement is an important step for millions of North America women who will benefit of this important treatment for the side effects of vaginal atrophy. We are sure that Cynosure is the right distributor because they know very well the potentiality and reliability of CO2 laser system designed by DEKA.” Commented Prof. Leonardo Masotti, President of DEKA. Cynosure is already taking many orders from US doctors and will install the first systems in few weeks. “Introducing MonaLisa Touch® in USA and Canada is very important for DEKA and all DEKA distributors. I’m sure that MonaLisa Touch® will be successful also in increasing the acceptance of this innovative and new technique all over the World.” Said Mauro Galli, Export Manager of DEKA, “DEKA has already installed more than 600 SmartXide2 systems all over the world and MonaLisa Touch® treatments are estimated to be already more than 300,000. 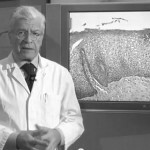 No important adverse effects have been reported until now, placing MonaLIsa Touch® as the surest and safest laser treatment known.” DEKA believes all the MonaLisa Touch® distributors will boost their sales thank to the enormous clinical and commercial advertising going to come from the US market in the following months and will require them to duplicate their efforts to increase sales of MonaLisa Touch® in their territories.